Reach Delhi . Pickup from Railway Station at 06:30 Am. Depart for Haridwar by surface approx. 230 kms / 5-6 hrs. On arrival, check-inn at the hotel. One of the holiest places for Hindus, Haridwar is largely visited by devotees of Lord Shiva and River Goddess Ganga. The venue of Magh Mela and world-renowned Kumbh Mela, Haridwar is a treat for your spiritual and religious self. In the evening, visit the largest of sacred bathing ghats of Haridwar: Har-ki-Pauri for attending the spectacular Ganga Aarti, a sight that you will remember for your lifetime. Overnight at the hotel. 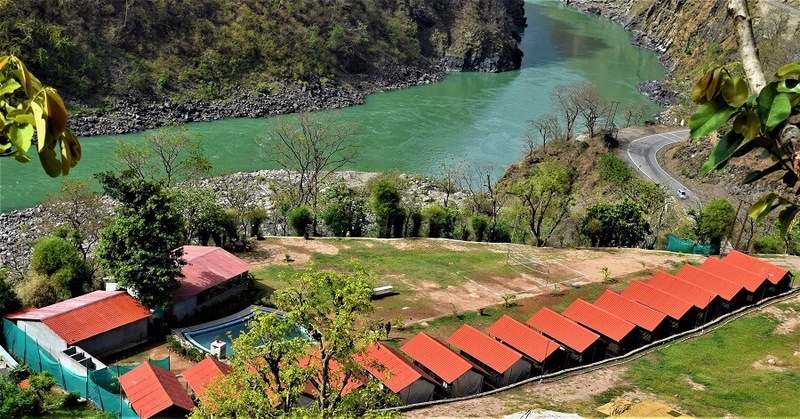 Camp Crossfire spread over 2 Acre lands at Kaudiyala, 32 Kms form Laxmanjhula of Rishikesh on Badrinath Highway, Camp Crossfire has 16 well-appointed Swiss Camps well equipped with Cooler, attached washrooms. Camp Crossfire also has a 35 sheeter Ganga Facing Dining hall & Beautiful Fresh Water Swimming pool. One time 16 km Rafting Stretch. Complimentary Body surfing, Cliff jumping. Free use of Camp Games, Volley ball, Cricket. Any Transport / rafting transfers. Morning after breakfast Depart for Mussoorie by surface approx. 95 kms / 4 hrs. EnrouteVisit Robber’s cave is a river cave formed in the Himalayas about 8 kilometres from Dehradun in the north-eastern state of Uttarakhand. This river cave is very close to Sahasradhara which are the thousandfold springs in Uttarakhand), Upon arrival check inn at the hotel. Afternoon arrive in Mussoorie and check in at your hotel. ( Pls. Note that there is a time restriction for the cars to enter into the city area of Mussoorie ). Evening will be at your leisure. Overnight at the hotel. 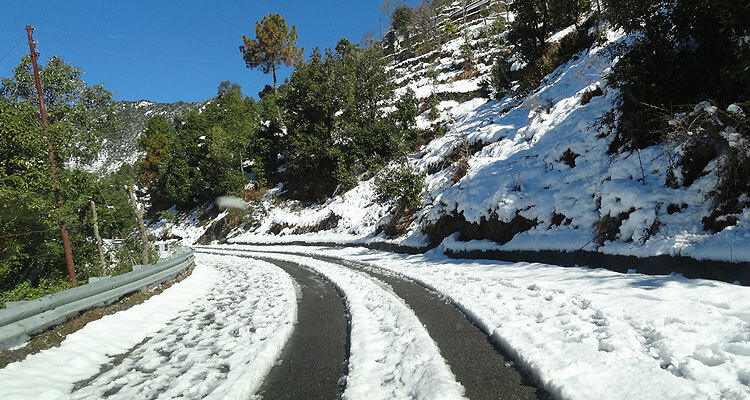 Morning you will proceed for half day sightseeing tour of Mussoorie visiting Gun Hill Point, Mall Road & Kempty Falls. Evening will be at your leisure. Overnight at the hotel. Morning After breakfast check out from hotel, depart for Delhi approx. 288 kms / 8 hrs. Reach Delhi. Evening will be at your leisure. Overnight at the hotel. After Breakfast check out from the hotel, depart to Dhanaulti check in to Hotel, then enjoy sightseeing of Jain Temples, ECO-Park, Barehipani and Joranda Falls, Dashavatar Temple. Overnight at hotel in Dhanaulti. After breakfast check out from the hotel, Depart for Delhi on the way visit Haridwar (optional). Late evening arrive in Delhi. You will be transferred Railway station or Airport.